This week Joe goes back to Don Marcos Italian Eatery in Welland, this is his second visit to Don Marcos Italian Eatery. 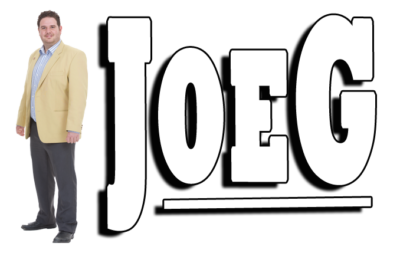 He first went to Don Marco’s way back in Season 1 Episode 2, if you click this link take it easy on Joe, he was brand new to doing vidjas! This time around Joe is in for a treat as the chefs have prepared a special Chefs tasting menu designed just for Joe! He is joined by his brother, thankfully since the amount of food is massive! For the first course, Don Marcos Italian Eatery brings Joe out Polenta Fritti which is a homemade polenta and is fried golden crisp just like fries, seasoned with cracked pepper and parmigiano cheese, served with roasted garlic aioli and marinara sauce. Joe also enjoys the classic app of fresh Italian bread and olive oil. The next dish is one of Joe’s favorite apps from Don Marcos Italian Eatery, Risotta Stuffed Hot Banana Peppers. This next dish is a old recipe which has been passed down in the Don Marco’s family for over 100 years, the Gnocchi con Capesante. Nona’s homemade potato dumplings with pan seared Sea Scallops, bacon, fresh diced tomato and onion in a white wine cream sauce. Keeping with the pasta, the next dish Joe feasts his eyes (and tummy) on is, Fettuccine Florentina. Chicken, baby spinach, sun dried tomatoes and fettuccine tossed with our own homemade pesto alfredo sauce, finished with parmigiano cheese. Last but defiantly not least Don Marcos Italian Eatery brings out a dish has never had, and Joes a regular! Based on Joes reaction, this is something he will be ordering again and again! Steak Marsala A grilled 10oz. AAA NY Strip steak finished with Portobello, Shitake, Cremini mushrooms, and Marsala sauce with a side of seasonal vegetables and roast potato. For dessert Joe is treated to a huge portion of home made Tiramisu with an espresso and cappuccino! For a full look at the Don Marcos Italian Eatery menu, click here! Want to have your business featured on Must See Monday? Click Here!